Technology has pushed boundaries that are still unbeknown to many across the globe. Automation, Artificial Intelligence (AI), Robotic Process Automation (RPA), Virtual Reality (VR), and more are proof that the technologies are emerging at lightning speed and precision. For example, with Test Automation, the aim of eliminating errors and saving time has been successful. Plus, the good news is the Test Automation is not the monopoly of big companies. It has become the cornerstone of most software development and testing organizations. Software development and testing teams increasingly relying on automated checks to ensure their software conforms to a quality level that meets business and customer expectations. This is exactly why many companies have begun to embrace automated technologies. As per a report by Transparency Market Researc , the global test automation market will likely to expand at a robust CAGR of 15.4% from 2017 to 2025 to become worth US$ 109.69 bn by 2025 from US$ 30.45 bn in 2016. Automation is reducing the impending software issues and is deemed critical to the success of many software development teams that uses it. However, a common misconception is considering automation as a silver bullet for achieving instant quality. Teams start expecting 100% coverage, no maintenance, and supreme quality delivered overnight from their automation suites. Often there are many clear cases of executing Test Automation only to improve testing speed and quality. 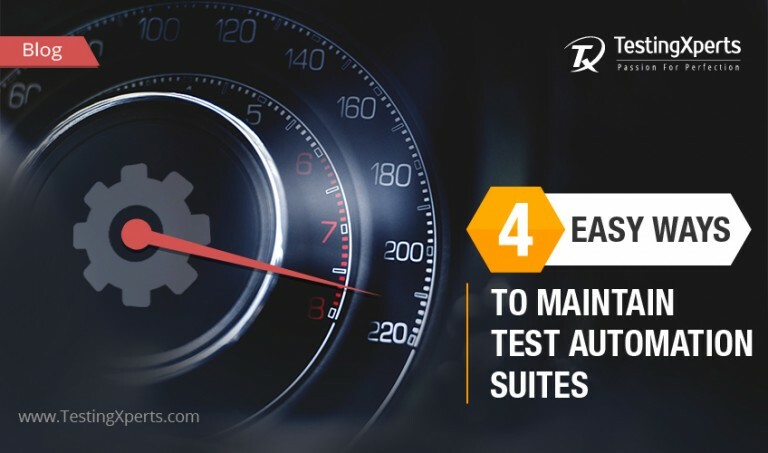 The fact is automated test suites might not make your testing easier, sometimes, it can increase the maintenance burden of your suites. Maintaining a Test Automation suite without ambiguous targets leads to high cost, incompetence to acclimate to change, and failure to recognize the expected ROI.